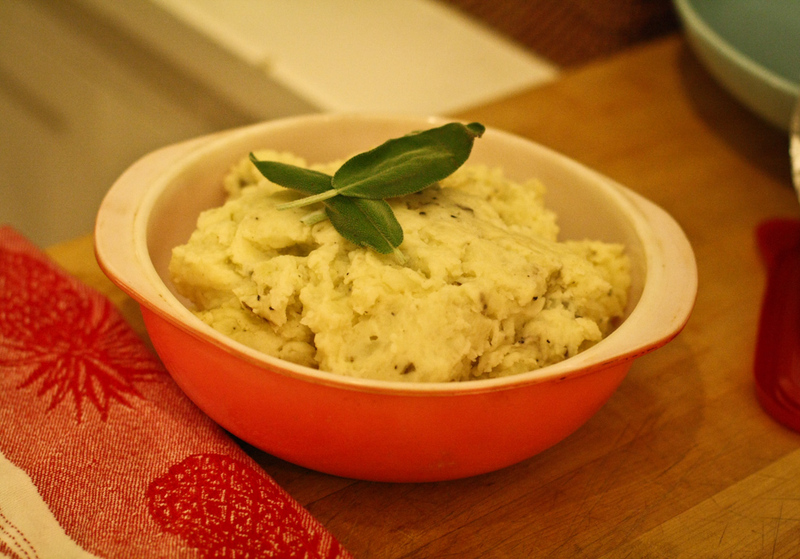 My food memories of grandma involve pot roast, peas and Yorkshire pudding….and that’s about it. My grandfather was the cook in the family, so she just stuck to the British stuff she knew best. 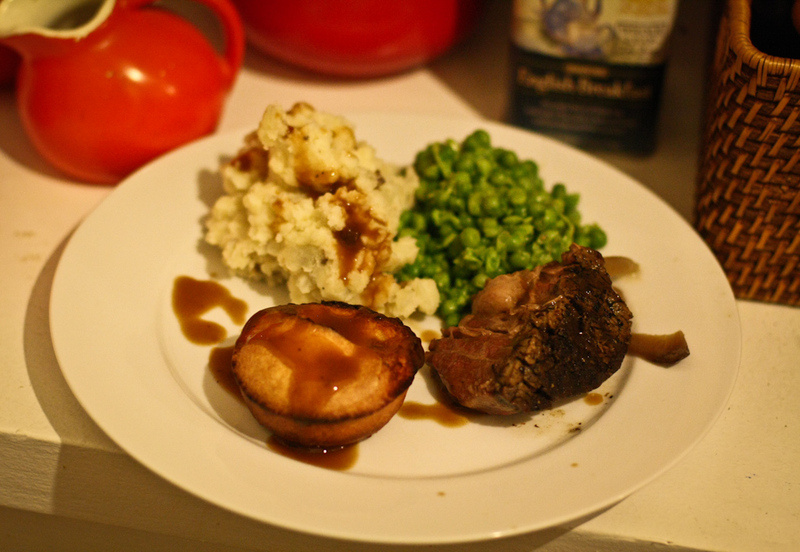 I remember her often burning the Yorkshire pudding (which I kind of still enjoyed, covered in enough gravy) and I fared no better with my first attempt at them. Yorkshire pudding are biscuits made crispy by pot roast drippings in the bottm of the pan. 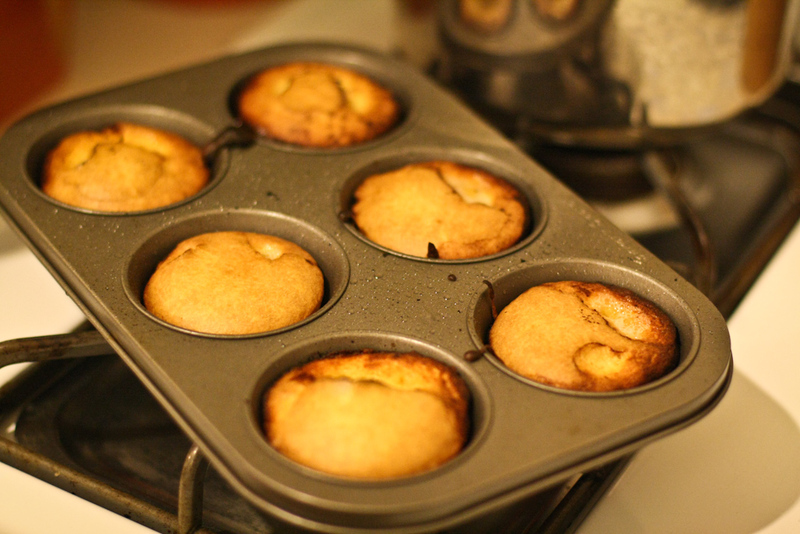 They’re delicious and they remind me of grandma so I knew I had to finally try to make them. I won’t bother listing any recipes cuz I’m lazy and I don’t feel like it! Sorry for the tantrum, folks. I’m better than that. 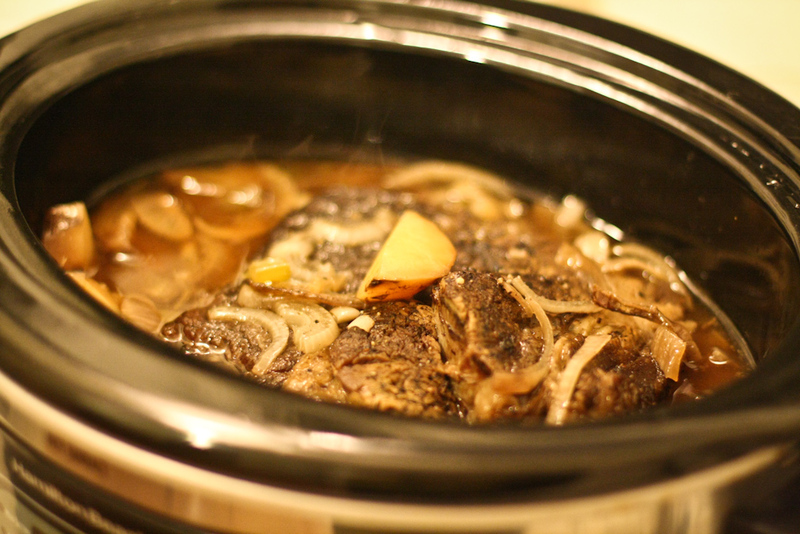 You can't mess up meat in a crock pot. Well, unless you hate super tender foods. I never said I was a food stylist, people. I need some gravy dripping classes. Hey, do you have a recipe for the roast? Looks delicious! 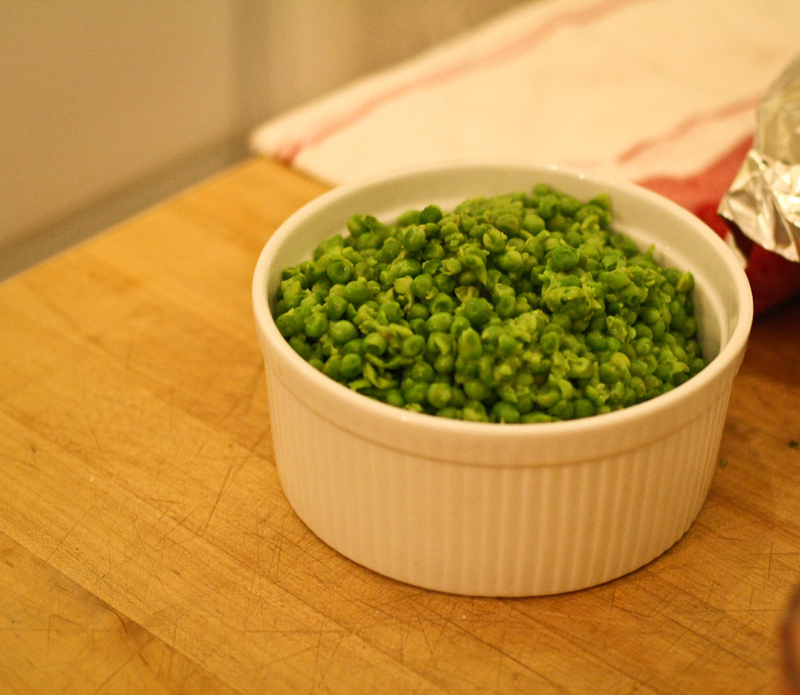 Peas! How fabulous to see those again. Oh Golly! When are you going to cook for all of us again? 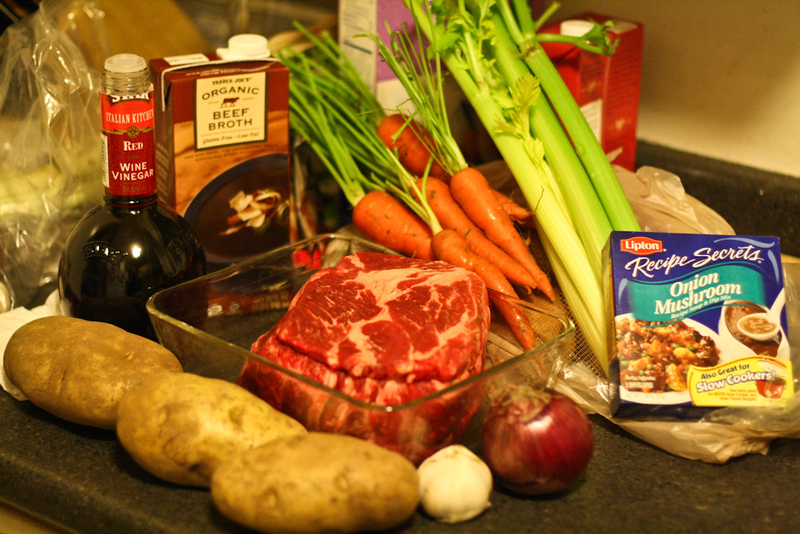 I think I just googled slow cooker pot roast, I don’t recall which recipe I used. They’re mostly similar. I did marinate in red wine vinegar overnight.